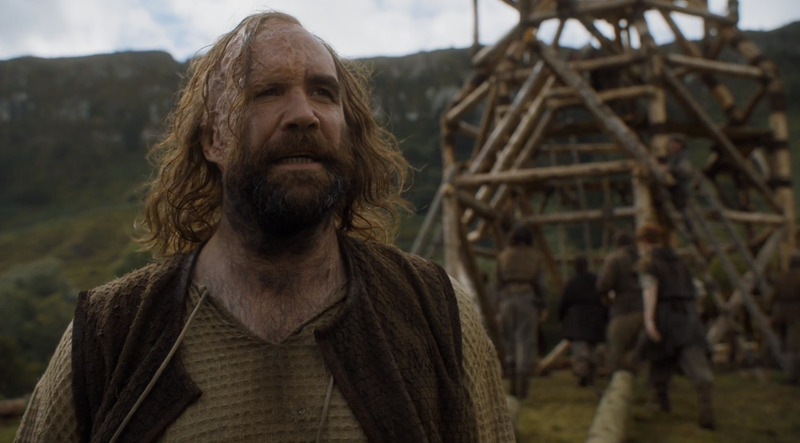 Jon Snow and Benjen Stark have nothing on the hype surrounding Sunday’s major reveal: Sandor Clegane — best known as the Hound — is alive! Sunday’s episode skipped the normal introduction and went straight for the major reveal. We watched as a group of loyal followers of the Faith built some sort of structure, a church perhaps. The camera zoomed in on a man limping and carrying a large log. It was none other than Sandor Clegane himself. A man played by Ian McShane revealed that he had stumbled upon the nearly dead Sandor and helped keep him alive until he recovered entirely. Turns out he wasn’t far off. Though the Hound’s return has not been confirmed in the book series, observant fans had a running theory called the “Gravedigger” which outlined the possibility. You can watch a full overview of the theory on “Game of Thrones” YouTuber Alt-Shift-X’s page, but we’ll break it down for you here. In the books, Brienne is travelling in the Riverlands looking for Sansa Stark when she goes to a place called the Quiet Isle. This is a monastery of sorts, a place where devout followers of the Faith of the Seven live their days in silence. Brienne speaks to a man called the Elder Brother (who is allowed to speak with outsiders). 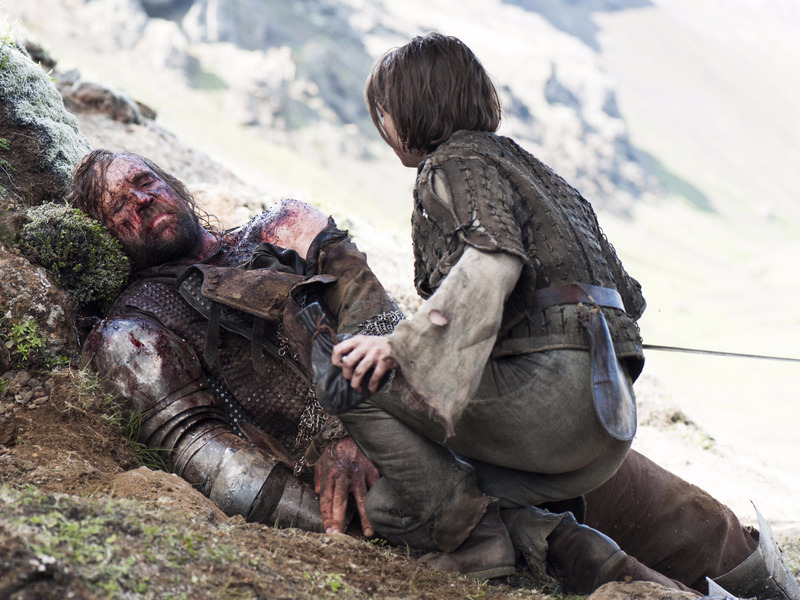 He tells her that he found the Hound and attempted to nurse him back to life. The Elder Brother claims the Hound is dead, but Brienne spots a large man with a limp among the brothers at the Quiet Isle. He matches the Hound’s description based on size and a limp (the aftermath of his injuries). With other context clues, book readers had put two and two together. There’s a whole “Game of Thrones” fanbase who not only expected this to happen, they were downright beside themselves about it. A subreddit called /r/CleganeBowl is 100% dedicated to excitable fans who not only believed the Hound would return but that he is fated to battle his brother — Gregor “The Mountain” Clegane — in an epic trial by combat. 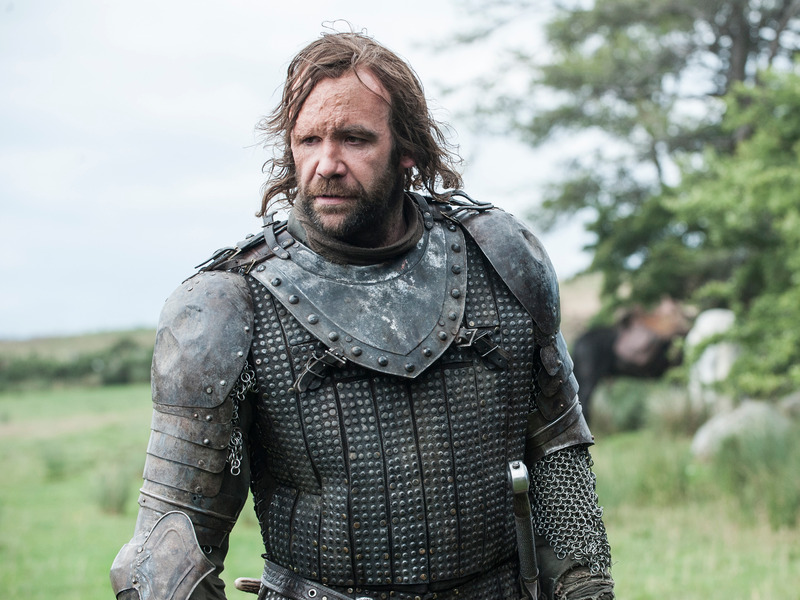 The Hound will represent the Faith while the Mountain fights for Cersei Lannister. “HYPE LEVELS HAVE REACHED CRITICAL LEVELS,” Redditor TurtleBait123 wrote. “I CANT BREATH TOO MUCH HYPE IM HYPERVENTALATING!!! !” another Redditor said in the excited /r/CleganeBowl discussion thread. Believers in Cleganebowl (the brother-on-brother fight) now have half their theory confirmed onscreen. Will the second part of the theory come true? 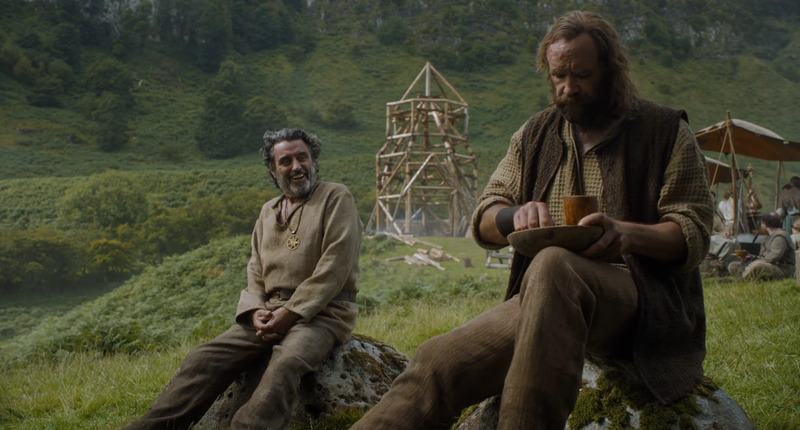 We have to wait for Cersei’s trial by combat to see, but in the meantime you can read our breakdown of Cleganebowl and see if you think it lives up to the hype.